Guest post by Sylvie Morton, In One Clothing. Sylvie is a French national who’s been living in the UK for over 20 years. She has 20 years international sales and marketing including 10 years in the textile and clothing industry marketing products across the world. To keep sane she practices Bykram Yoga at least once a week, after visiting the workshop. “It’s a great way to bring calm in to what is a crazy and often stressful lifestyle”. 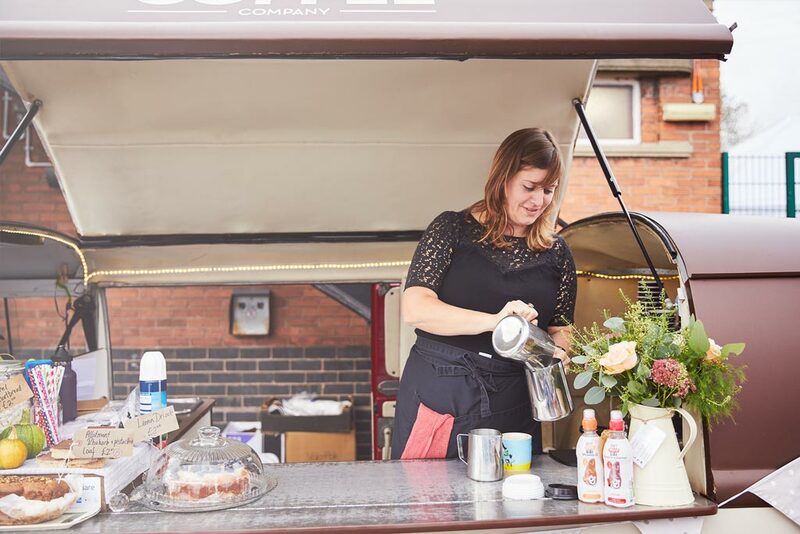 Sylvie uses Sage One Accounts and SagePay and here she tells us about her inspiration for the business and shares her advice for other business start ups. I got the idea of creating a collection of multiway clothing many years ago but it took a while to get the courage and enough vision to set up In One Clothing. After years in the Textile industry I felt I knew what I was letting myself in for, but starting the business what a real eye opener. I knew it was going to be a lot of hard work but it also proved to be a very steep learning curve. I had never run a business so everything was new to me and having come from a background with well-established brands, working with small volumes was a big challenge at first. The skills needed to run your own business are very varied and stretched my competencies level to the extreme. I am curious by nature and will give anything a go but I have now realised that there is a lot of value in knowing when to go to the experts. Setting up my website I knew how I wanted it to work but I had no idea how to go about setting it up. I booked myself on a web design boot camp and set out to learn as much as I could. I spend hours, days designing the first InOneClothing website but after weeks of hard work it was clear that I needed help. Understanding how websites work and are designed helped me put my brief together and I have enough knowledge to do basic tasks but the web design team who build my website did an amaizing job and I now have a really great selling tool. Shortly after launching I got selected to sell on NotOnTheHighStreet.com and I quickly realised that I needed local sourcing. They included me on a mailer to their huge database and I got 40 orders in two days but I only had five dresses in stock! I was lucky to get a recommendation from a friend and got everything sorted out in a few weeks. Now all my dresses and wraps are made right here in London and I’m able to offer a two-week turnaround on Made to Order Dresses as well as a big amount of bespoking which has made a big difference to my business. Networking and Friends have proved an invaluable resource to which I turn to regularly to help and guide me. I have been astounded at the generosity of so many people. From sharing business contacts to promoting my business online and at events, Women networking groups has been really helpful and a great way to keep in touch with the real world. That is especially important as I run a business online as it is easy to spend the whole day working on the computer! I have also been extremely lucky to have supporting friends and the kindest, most understanding husband in the world! I use Sage One to do my monthly accounting. It’s straight forward and easy to follow and whenever I have questions there’s somebody at the end of phone to help. Reports are great to review performance and I love the fact that I can link invoices to SagePay for complex invoices that cannot be dealt with on my website. Customers get an email with a link to pay online which is so much easier to do than taking payment over the phone and also a lot quicker than the cheque in the post! We’d love to hear from you if you’ve started or are thinking about starting your own business. What was your experience and what advice would you share?